The shocking news that a homeless person dies every three weeks in Edinburgh highlights the extreme consequences of poverty and neglect in our society. Millions more are struggling in poverty every day, not least because of rocketing housing costs that can lead to homelessness. It has long been claimed by the current UK government that the solution to poverty is work. However, a record three-fifths of people living in poverty now come from a household with at least one person in work. One in six working Scots (around 440,000) are paid below the Scottish Living Wage, with wages and employment still lower than before the financial crash. A quarter of all children in Scotland are living in relative poverty (up four per cent in one year) and this will have long-term impacts on their health, well being and life chances. The latest pay data shows that average pay across the UK is more than £800 below its 2008 peak. This means we are on course for the weakest decade of pay growth since the Napoleonic era. As the Resolution Foundation has highlighted, we cant put all the blame at the door of inflation. Nominal pay growth has also been slowing recently, falling in each of the last five months’ of data. Pay packets would be shrinking even if inflation was bang on the Bank of England's target of 2 per cent. No where is that clearer than in the public sector where after years of pay restraint workers are struggling to make ends meet. Others are leaving our public services and we are not recruiting young staff. As a consequence the workforce is growing older as our recent research shows. 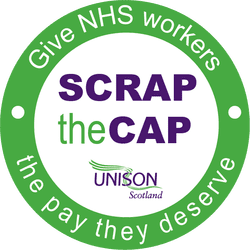 That is why UNISON will be redoubling its campaigns to scrap the pay cap, here in Scotland and across the UK. While real wage growth is crucial, we also need to ensure that quality jobs are back on the policy agenda. 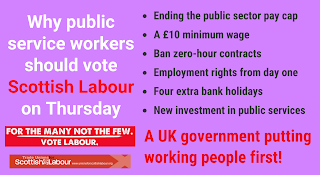 Today’s Great Jobs Agenda initiative from the TUC it sets out what they want the government to do to ensure that every worker has a great job with fair pay, regular hours and the opportunity to progress. We also need to remember that high quality public services play a key role in tackling poverty. The dodgy deal with the DUP may bring some relief from austerity in Northern Ireland, but we need to campaign to ensure that the Autumn Budget does the same for the rest of the UK. The Scottish Government has announced the creation of a ‘Poverty and Inequality Commission’. There is a legitimate concern that this a way of pushing difficult issues into the long grass – largely more process like the Social Security and Child Poverty Bills. So it is up to civil society to ensure that the commission provides an opportunity to build momentum behind the policies needed to reduce poverty and inequality in Scotland. On Friday this week, the UWS-Oxfam Partnership Policy Forum will provide an opportunity to consider how this might be done. How do you like your council coalition? As the dust settles on coalition and other arrangements across Scotland’s 32 hung (or balanced if you prefer) councils, now is good time to look at how councils will operate in this environment. While proportional representation is intended to reflect votes cast and therefore likely to produce hung councils, having all 32 without one party having overall control is somewhat surprising. Sixteen councils have settled for formal party coalitions (8 involving Labour, mostly with the SNP), the three islands are run by coalitions of independents, with the rest going for minority administrations - six Scottish Labour and seven SNP. On paper, formal coalition deals can be fairly stable arrangements and have operated reasonably well since the new voting system was introduced. They usually have a written agreement between the two (or three) parties that sets out which party gets which posts on the council as well as committee chairs. These agreements often include procedures for dealing with disputes and at least an outline of the policy programme. Obviously these cannot cover unanticipated events or falling out over other matters, but with a degree of trust they can work perfectly well. Minority administrations are often much less stable. Even if there is an informal understanding, councillors are free to vote as they see fit on particular issues. That can be quite challenging for medium and longer term strategies. If it continues to happen on a regular basis, the administration can either be forced out of office or decides to abandon office on its own initiative. Scottish Labour rules require all agreements to be approved by its Scottish Executive Committee; in practice a panel of this governing body. This is nothing new, it’s a long standing rule devolved to Scottish Labour from the UK rules. The same rule applied in 2012, although technically it was only administratively devolved. At that time the approval regime was fairly light touch, although several were sent back to be renegotiated. The main problem was a focus on the split of positions on the council, rather than the policy programme. Cynics might point to the payment of responsibility allowances that supplement the modest councillor allowance for this focus. However, a wider problem has been the absence of political leadership and engagement. In fairness to councillors, it is very easy to get sucked into the day to day administration of the council and lose sight of their political purpose. This is reinforced by senior officials who encourage a technocratic approach to the role. It was this lack of political engagement that led to a more robust approach after this election. UNISON Labour Link published a strategy paper last year that set out the sort of political strategy councillors should be adopting. This was followed by a broader strategy and policy paper from Trade Unions for Scottish Labour. At this year’s Scottish Labour Party conference both UNISON Scotland and the GMB tabled motions that set out a clear opposition to austerity in local government. These motions formed the basis of the SEC’s approach to coalition’s involving Labour groups this time around. With the focus on austerity, coalitions with the Tories were much less likely than in 2012. They are the driver of austerity, although the SNP has passed on austerity to councils, so are not exempt from the spirit of this approach. Differences on the constitution did not feature in this policy approach. This is why almost all Labour coalitions are with the SNP, who at local level share similar priorities. The tensions come from policies decided by the Scottish government on finance and reform, and it remains to be seen how these will be managed. The form all Labour groups who wanted to reach local deals were obliged to complete put the emphasis on policy rather than positions. This resulted in a better understanding of what was required, aided in some cases by a change in the group leadership and councillors. Nearly half of Labour councillors have been elected for the first time. There was absolutely no obligation on Labour groups to enter into coalitions. In fact, many SEC members would be quite happy for Labour groups to be in opposition, on the basis that this might promote greater political engagement and it means Labour is less likely to be associated with difficult decisions that don’t reflect the party’s anti-austerity position. More than one Labour group described their previous coalition agreement as a success, when they subsequently lost nearly half their seats. The question was reasonably asked, who other than you thought this was a success! I have considerable sympathy with that view, but we should remember that it was a Scottish Labour led government that introduced this voting system, and that leaves us with some responsibility for making it work. In some cases, the electoral arithmetic leaves little option other than coalition government or in other cases abandoning communities and the workforce to Tory councils administering Tory austerity. Going forward, there is a need for Labour groups to refocus on their political purpose. Labour does not exist simply to manage councils - it exists to be the vehicle for socialism at local level. It would be a disaster if a new generation of councillors are sucked into the local government administrative machine. Scottish Labour will need to give careful thought to the mechanisms needed to ensure that councillors help build on the spirit of the general election campaign. The Scottish Government’s education reforms are an attempt to balance their centralising tendencies with local democracy and give headteachers’ greater responsibility for their schools, without excessive bureaucracy. The document published yesterday is the Scottish Government’s response to the consultation on education governance. It sets out the next steps in their reform of education and schools in particular. While there will be some immediate actions over the summer, the details will be the subject of a further consultation before decisions are taken in the autumn. Legislation will follow early in 2018. This is significantly later than planned and has already been criticised as a further delay. In fairness, there have been a few other things going on and complex reforms need to be properly considered and planned. The shambles of Police Scotland reminds us of the risks in making changes without proper planning. The main criticism of the original consultation was that it signaled further centralisation and the undermining of local democratic accountability. The seven new regional bodies are to be called Regional Improvement Collaboratives, using the Welsh model, and helpfully these don't involve taking over all local authority support services. While the paper is light on detail, it appears to focus on teaching collaboration, sharing best practice etc. Support services will remain with councils, although they will have a statutory duty to collaborate and pool resources. While most funding will remain within local authorities, there will be a national funding formula supporting a new statutory ‘Headteachers’ Charter’. It remains to be seen how much local flexibility will remain to address local circumstances. Given the scale of job cuts to this group of staff any recognition is welcome, and the paper makes special mention of the need to support young people with additional support needs, something UNISON has highlighted. Other education staff that have learning roles or support teaching will be professionally registered with the new Education Workforce Council that will also take over the functions of the GTCS. UNISON will have a number of issues with this regarding fees, training, professional standards and how we can ensure that the roles of our members in education are not ignored in this wide ranging body. The paper indicates that headteachers’ will select and manage staff in their school. The HR function will remain in local authorities, which wisely avoids a lot of bureaucracy, but we will need more detail on how this will work in practice. For example, what does this mean for grievance, disciplinary and other procedural agreements? Retaining national bargaining over terms and conditions is a helpful reassurance, although there is also local bargaining over the terms and conditions of the wider workforce. The paper may also have implications for UNISON members in the Care Inspectorate, through the shared inspection model and the requirement on the SQA to strengthen its consultation and engagement processes. The primary aim of these reforms is to close the attainment gap. Schools and early years provision clearly have an important role in this, but the solution involves action to tackle inequality in Scotland. 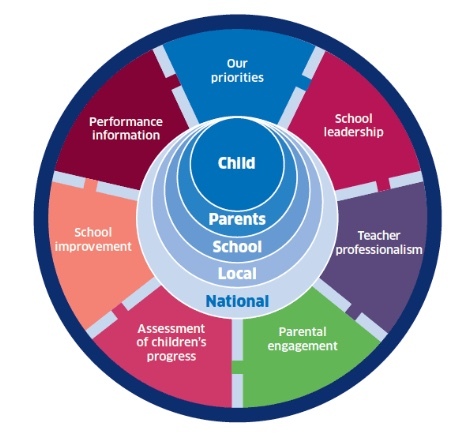 Headteachers are not well placed to address this and it is unclear from the paper how this partnership approach will work in practice to avoid isolating schools. Overall, the government has certainly listened to the consultation responses and attempted to create a something of a balance between their centralising instinct and local democracy. The paper sets out a high level response and a realistic timetable. The debate will be over how these proposals achieve the stated objective and how they will operate in practice. Well that was different! From landslide victory to hung parliament breaks the received wisdom that the short election campaign can only marginally shift voting intention. I have been fighting elections since the age of 12, and I can’t recall anything close to this one. First and foremost the story is about Jeremy Corbyn. He has helped increase the Labour Party's support more than any other party leader since 1945. Talking in a straightforward way, in socialism terms, about the state of our country, chimed with many more voters than we could have imagined. Most importantly, he brought many non-voters, particularly the young, into the political discourse. It’s a very broad generality, but if Brexit was about older voters, this election was about the young. Admittedly, this was helped by a quite extraordinarily inept performance by Theresa May. Her absence from debates, avoiding real voters and ‘Maybot’ performances, showed a politician out of touch with the emotional pull of modern campaigns. The contrast between her staged events with the party faithful and the huge Jeremy Corbyn rallies was stark. There was a positive feel about all this last weekend, when previously critical columnists like John Harris and Calum Campbell, got out of the bubble and started to talk to real people on the ground. They picked up on the impact social media had in countering the right-wing media. Here are a few of the best to enjoy. This is a point analysed today by academics, but we should also remember that the broadcast media duty to give even coverage, remains an important factor. A number of Jeremy’s critics (here is a Ch4 news clip to remind them!) have had the good grace to admit they were wrong. Owen Smith went up in my estimation with his candid interview on the BBC yesterday. I particularly enjoyed the wriggling embarrassed interviews the likes of John Woodcock had to face. I hope more of the coup plotters will now recognise the huge damage they did at a time when the Tories were on the post-Brexit ropes. Imagine what could have been achieved had Labour started this election campaign from a higher base. In Scotland, where politics has been stuck in a constitutional rut, the Corbyn effect also helped. I have sat through enough of Scottish Labour’s private polling presentations in the last year to know that a 27.3% share of the vote is huge progress. Even when polling was in the low teens there was some sign of hope. It was young voters that were the most willing to give Labour a hearing, and it was Jeremy who turned that into votes. It wasn’t just the young. 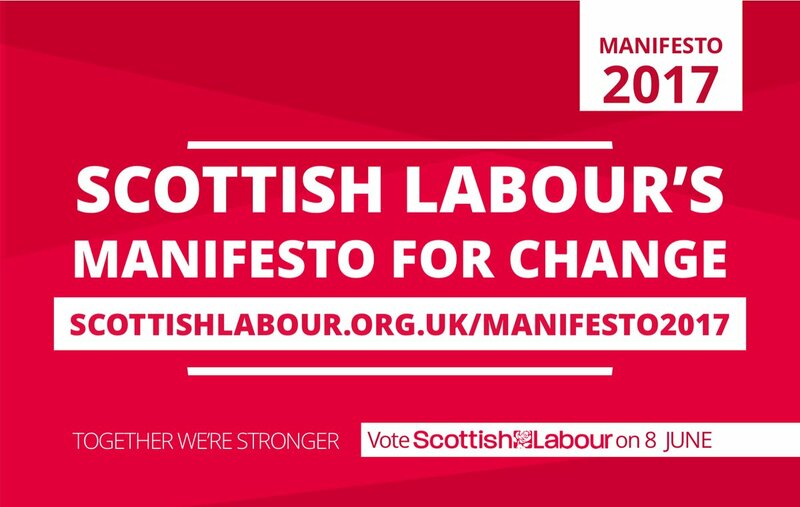 The manifesto commitments on issues like the minimum wage; the public sector pay cap; workers rights and ending austerity resonated with voters, including a number who took a different position over independence. Scottish Labour’s vote share is only just behind the Tories, yet delivered only half the seats. Labour is not in a position to complain about the impact of the First Past The Post system, but it might make some pause to consider. My congratulations to all the new Scottish Labour MSPs. I was particularly chuffed with the election of the irrepressible Hughie Gaffney and Danielle Rowley, both of whom will bring something very different to Westminster. A number of others came closer than anyone expected, not least UNISON’s Angela Feeney, who moved mountains in Motherwell and Wishaw. Of course it’s bad that Scottish Conservative MPs will be propping up the Tories in Westminster, particularly when they didn’t fight the election on the UK Tory manifesto. Whatever my differences with some of the defeated SNP MPs, I take no pleasure in their replacement by Tories. They may not have had the impact they claimed, but they worked hard on reserved issues like welfare cuts and employment rights. Having said that, I give no credence to claims that Labour urged voters to back the Tories when they were the challenger. Kez’s interview was a simple factual statement and the outpourings of an obscure constituency official is not proof of a wider strategy. The SNP lost seats because their vote fell significantly and a number of MPs held on because there wasn’t that much tactical voting on the constitution. Contrary to popular myth, Scotland is not some socialist nirvana – the Tories won in seats they have held before Thatcher wrecked the brand. 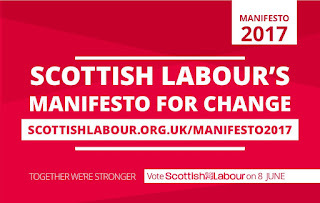 If I have a criticism of the Scottish Labour campaign, it is that it focused too much on the constitution. I understand the tactical reasons and it is true that there was little appetite, even amongst Yes voters, for Indyref2. But sending out letters from Alistair Darling did not help the trade union case for Labour. I have said many times before that scrapping with the Tories over the perceived unionist vote is a dead end for Scottish Labour. There are a growing number of voters in Scotland who can focus on issues other than the constitution when it matters. Scottish Labour has to ignore the core flag wavers on both sides and focus on the constitutional middle ground. A point reinforced by Mark Lazarowicz in today’s Herald. Finally, we will of course need to see how the Westminster position plays out. After the bile thrown at Jeremy over the IRA, it is beyond irony to see the Tories working with the DUP. The DUP is going to face a level of scrutiny they are not used to. Not least the strange story of Brexit funding. Labour needs to build on the momentum of this campaign. Even Tory MPs are beginning to realise that austerity has failed economically, as Joseph Stiglitz and others have pointed out. Also, having had an intensive conversation with their voters in recent weeks, they better understand people’s concerns over the impact on public services. When voters in places like Kensington and Canterbury are returning Labour MPs, it is surely time for a rethink. Labour has to develop its credible alternatives to austerity and refine its offer to build on the success of this campaign, for what will be an inevitable re-run in the foreseeable future. Not for the first time, energy policy has received very little attention in this election campaign. In Scotland, key elements are reserved so you might expect a bit more attention to be paid to it, rather than debate devolved issues that MPs have no real say over. To ensure security of energy supply and ‘keep the lights on’. To ensure energy costs are affordable for consumers and businesses. To ensure we meet our climate change targets and transition to a low-carbon economy. None of these are particularly controversial; the radical meat comes later in the manifesto. Labour would introduce an immediate emergency price cap to ensure that the average dual-fuel household energy bill remains below £1,000 per year. The SNP manifesto also has a price cap commitment. This was 1970's socialism according to the Daily Mail, until the Tories started to use similar language. In practice the Tory manifesto commitment has been diluted to a targeted cap. So much so that the industry now welcomes it. The big Labour idea is to take energy back into public ownership to deliver renewable energy, affordability for consumers, and democratic control. This will be done in stages, starting with the energy supply networks license conditions. Then by creating locally accountable energy companies and finally purchasing regional and national grids. As Stephen Hall, from Leeds University notes, this is not quite as revolutionary as it appears. This is happening in the US and Germany, often badged as municipalisation. It is a long way short of command and control nationalisation. "There’s no sugar coating it. From a home energy point of view the Labour manifesto is much more encouraging than the Conservative one." Labour will ban fracking because it would lock us into an energy infrastructure based on fossil fuels, long after the point in 2030 when the Committee on Climate Change says gas in the UK must sharply decline. Putting to one side the safety and environmental issues, we simply don’t need another dirty fossil fuel. The Tories are proposing incentives in England to promote fracking and the SNP are consulting over the current moratorium in Scotland. Labour views emerging technologies such as carbon capture and storage as the way to help to smooth the transition to cleaner fuels and to protect existing jobs as part of the future energy mix. However, the manifesto is silent on the role of gas plants in delivering flexible generation. The current capacity market has not provided an incentive to build new plants; instead it has delivered the dirtiest possible coal and diesel generation. The commitments to renewable energy projects, including tidal lagoons, are viewed as part of Labour’s industrial strategy, to create manufacturing and energy jobs, as well as contributing to climate- change commitments. With backing from a Labour government, these sectors can secure crucial shares of global export markets. The Liberal-Democrats would also reverse Tory cuts to support for wind farms and solar PV. They also support energy efficiency measures. However, their support for community energy and new entrants into energy retail are firmly wedded to market solutions. Under a Labour government nuclear will continue to be part of the UK energy supply, which puts them at odds with the SNP. Labour will also seek to retain access to Euratom, to allow continued trade of fissile material, with access and collaboration over research. As part of the Brexit negotiations, Labour will prioritise maintaining access to the internal energy market. This is also important to the SNP’s independence plans, which rely on access to energy systems outwith Scotland. The SNP energy policy is currently the subject of a consultation and I have set out the UNISON response to that consultation here. In the event of a hung parliament, outwith the Tories, most parties could support the ambition in the paper and it is fair to say that Scotland has led the way on cleaner energy. Its weakness is the shortage of specific actions and milestones, a criticism shared by the renewables industry. Most party manifestos express their support for renewable energy and energy efficiency. The radical shift in this election is the commitment to new ownership models in the Labour manifesto. 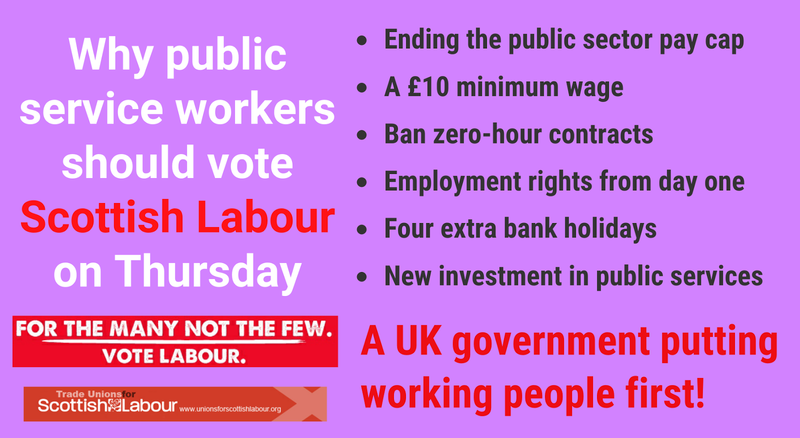 The election of Labour government this week would mean big changes for the sector. For a full comparison of the party manifestos on energy and climate change, see the Carbon Brief's helpful chart. Cross posted on Utilities Scotland.